Today, Power BI is two years old! When we released the new Power BI service, Power BI Desktop, and Power BI Mobile on July 24, 2015, we knew we had an innovative business intelligence solution, but we didn't expect to create such an inspiring community of data and reporting professionals. Over the last year we've continued to add new features, improve existing tools, and integrate even better with our fellow Microsoft products, while maintaining the same commitment to quality. Since its release, Power BI has "grown like wildfire", in the words of Microsoft Corporate Vice President and Power BI head James Phillips. It has become as much of a critical tool to run Microsoft's business as it has for our customers' businesses, taking data from anywhere and combining it to power real-time decisions. In fact, Power BI has become the most widely-used service inside Microsoft, other than Office 365! Customers have created 11.5 million data models in total, with another 30,000 more added daily. We've also made some visual changes to Power BI in the last year, both to the product itself and to visualizations. The service received a new navigation experience that makes it easier to discover and manager your content. We added advanced mapping capabilities with ArcGIS Maps by Esri, and exciting new custom visuals like the infographic designer (shown below) and ZoomCharts. Custom visuals moved to the Office store, connecting millions of Office 365 users to solutions that help them get work done more efficiently and more beautifully than before. We held our second annual Microsoft Data Insights Summit in Seattle, Washington in June, and the number of attendees doubled from the previous year! At the Summit, James Phillips announced the launch of Power BI Premium, the next step in Microsoft's commitment to empower people and organizations with access to critical intelligence. We were also excited to be joined at the Summit by our partner products, PowerApps and Microsoft Flow, as well as by representatives of our new Microsoft Data Journalism Program. In the past year, as in the previous year, we have been continually awed and inspired by our community, and we would not be successful without your passion for Power BI and business intelligence. We were pleased to launch the Themes Gallery, Quick Measures Gallery, R Script Showcase, and Webinars and Videos Gallery, and created a new Custom Visuals discussion area for developers to find support and network with each other. 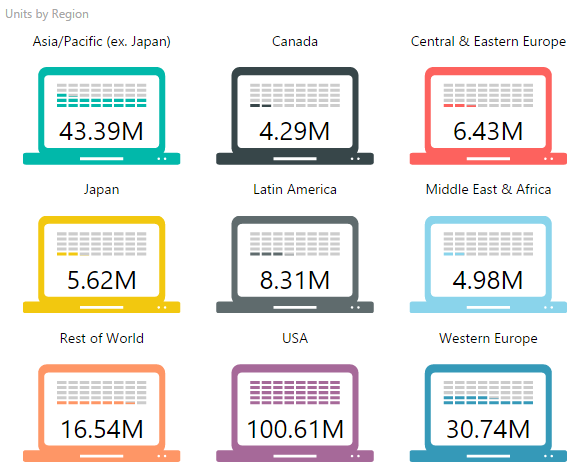 It has been an amazing year for Power BI, and you are an amazing community. Thank you so much from everyone on the Power BI team, and here's to another successful and insightful 12 months!